In national park area about 200 thousand hectares width is safe fauna and floral properties include animal and rareness plant that protected like orang-utan, bekantan and various forest orchids. 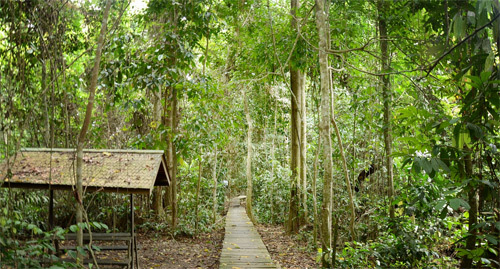 In this area also there is the widest forest ulin in Indonesia. To reach the location of national park is through roadway line Samarinda - Bontang or about 125 Km from Samarinda towards Bontang and continue journey using speed boat towards Kaba Bay that need time 2 hours.